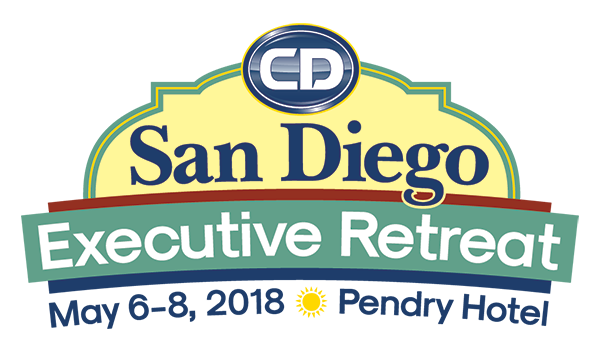 The CD Executive Retreat in San Diego is Almost Here! Now that spring has finally sprung, the days are getting longer and ­warmer—and the Chauffeur Driven Executive Retreat is right around the corner! 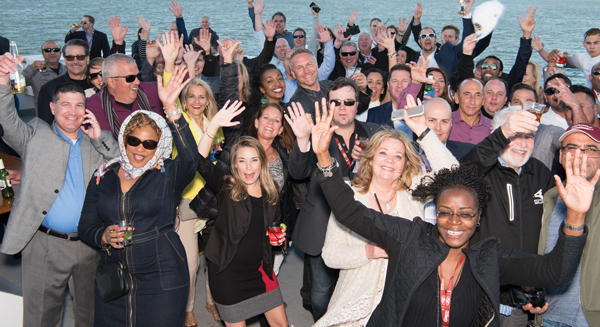 We'll be whisking you away to sunny San Diego from May 6-8 for a few days of connecting with 200 of your industry peers, learning from our speakers' wide array of expertise, and getting to see America's Finest City up close and with insider access that even locals would enjoy. 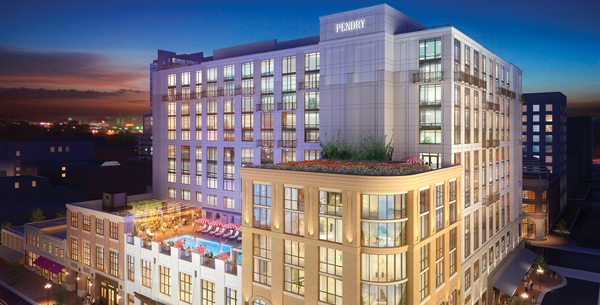 It all starts at The Pendry, the only five-star hotel in the Gaslamp Quarter and the newest boutique offering from internationally renowned Montage Hotels & Resorts. It lies right in the heart of downtown and comes with an unheard-of $249/night rate. You'll be right where the action is—and that includes the six drinking and dining options you won't even have to leave our host property to enjoy. But that's just where the good times start. Check out everything we have in store for you with our fourth annual Executive Retreat. 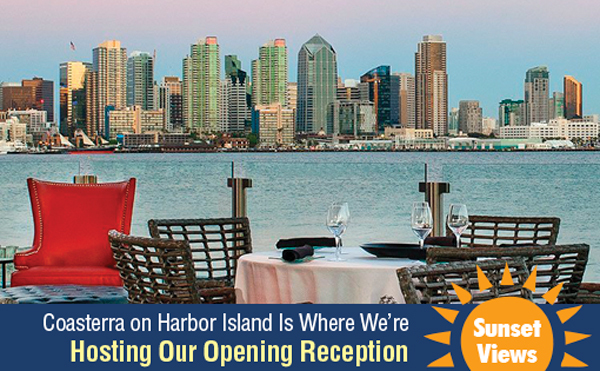 We'll kick off our first night in town with an Opening Dinner & Reception—complete with a sunset panorama—at nearby Coasterra, one of San Diego's most in-demand bayfront dining locales. At 6 p.m., Grech shuttles will take you directly from The Pendry to this floating restaurant, lounge, and event center, where you'll enjoy some of the city's finest modern Mexican fare. We'll also have the local band Ottopilot playing their original songs and smattering of covers to add some music to the atmosphere. Make sure you claim your spot on Coasterra's spacious patio for the 7:30 sunset. You'll definitely want to take advantage of the nearly 360-degree view of the city skyline, Harbor Island, and the waterfront while San Diego makes its colorful transition from daylight splendor to nighttime sparkle. It'll be the perfect backdrop as you enjoy some traditional South of the Border cuisine with a totally local twist while catching up with old friends and making some new connections. The educational component of our retreats is more than worth the price of admission alone, and this year will continue to uphold those standards. 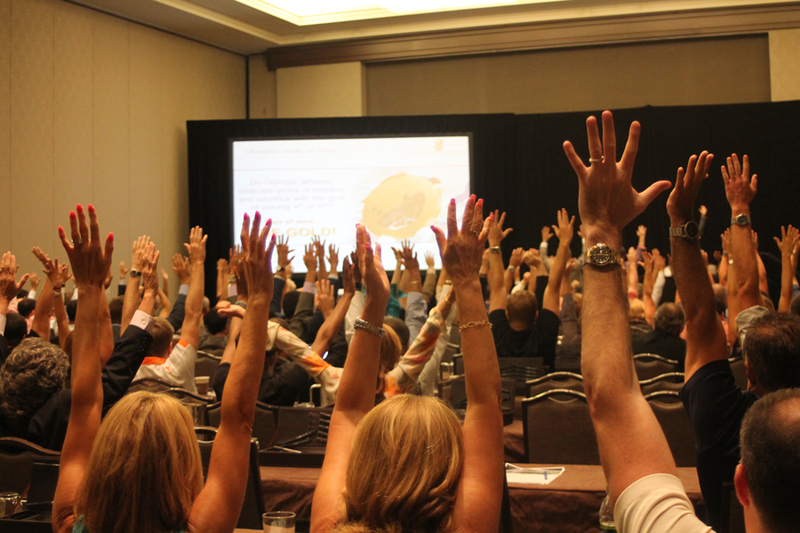 Our world-class seminars begin with Are You Making Money? addressing the evergreen topic of your company's financial health. Jason Sharenow of Broadway Elite Worldwide will moderate this session as Commonwealth Worldwide President/CEO Dawson Rutter and The LMC Group's Director of Finance Jessica Boulerice tap into their expertise to help you beef up your bottom line. Learn how to break down a P&L sheet with an example, examine your variable and fixed costs, be keyed into your gross profit margin right on down to a percentage point, and more as you analyze your company's money-making realities and realize its potential. After lunch, our HR and legal pros will tackle the timely issue of Safeguarding Your Company From Sexual Harassment. As the #MeToo movement exposed the epidemic of workplace sexual harassment and abuse and high-profile accusations continue to rock both popular culture and private enterprises, you can't afford to miss Brooke Keil of Emerson Hospital and Ann Plunkett of Workplace Partners discuss ways to protect yourself, your employees, and your company. With an increasingly mobilized workforce on the move and lines between our personal and professional lives constantly blurring, it's harder to recognize where boundaries begin and end. This session will help you—and your staff—from making potentially or accidentally offensive remarks or moves, get a refresher course in proper professional behavior, identify the difference between harassment and abuse, and handle day-to-day interactions while respecting others' autonomy. Even those who feel they've been spared major issues will benefit from this crash course on handling claims of harassment and abuse, how to keep avoiding them, and being sensitive to the aftermath victims are grappling with. 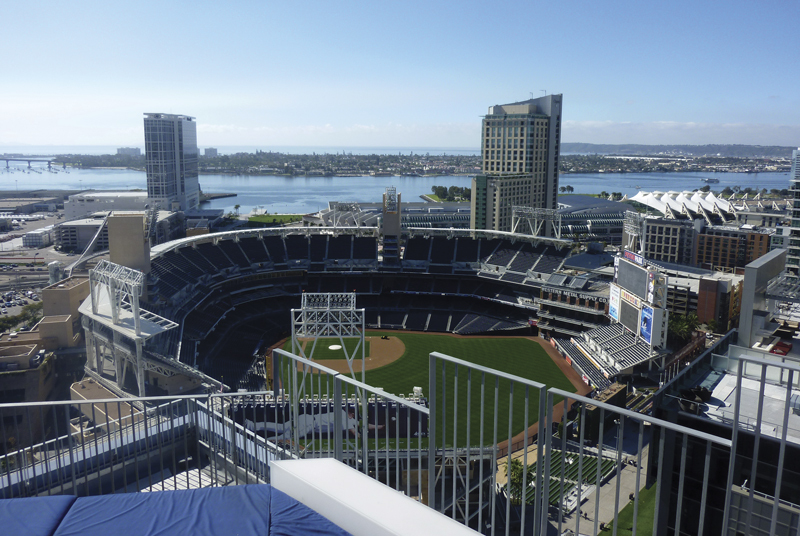 Once the day's educational sessions draw to a close, it's off to our Dinner & Reception at The Ultimate Skybox, which will take you 15 stories above San Diego. The Skybox at Diamond View Tower is just a stone's throw from The Pendry, so you'll be able to take a brief evening walk to this one-of-a-kind rooftop experience (though Grech shuttles will be available in the event of inclement weather or according to personal preference). This East Village hotspot will have you overlooking the baseball diamond at nearby Petco Park for the Padres' opening game of their home-field series against the Washington Nationals. 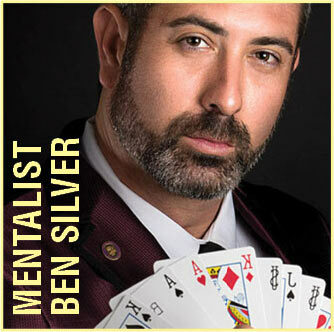 If America's Pastime isn't your thing, we'll also have renowned mentalist and magician Ben Silver on hand to dazzle retreat-goers with his sleights of hands and awe-inspiring mind games. And, of course, we'll treat you to another stellar sunset from this incredible vantage point high over the city. The Skybox offers an open floor plan that seems tailor-made for our event, which will give you plenty of time to mingle with and meet other attendees. Dining fare will include everything from an array of appetizers to a variety of food stations—and, of course, an open bar. The second day of our classroom itinerary has something a little different in store for you. Two fresh takes on education will be sure to capture your attention and benefit your company in all new ways. We've been wanting to bring some truly academic insights to our retreat and we've found the perfect speaker to deliver them. Jeffrey Montague, Associate Vice Dean Emeritus of Temple University's School of Sport, Tourism, and Hospitality Management, will bring more than 25 years of experience in higher education to his session on Seizing Opportunities With Millennials, Hospitality & Tourism, which Sharenow will moderate. With the youngest Millennials reaching adulthood this year and its oldest members having more than a decade of professional experience, this generation is quickly accounting for a significant portion of the workforce—and those boasting experience in hospitality and other parallel service industries can be strong assets to your team. Understanding them will only become increasingly important, especially since you'll have to also market to their changing expectations as potential clients. This session will leave you with an actionable plan and a better understanding of how this generation is reshaping business standards. That afternoon, with the help of the Strategy Leaders team, we'll bring you something completely new to our retreat: The ­Executive Game, a hands-on, completely interactive gaming experience designed to help you get smarter about running your business. Each team of 8-10 people will fine-tune their leadership skills while steering a virtual company toward success—and retire with the most money. Decide how to increase profits, invest your time as an owner, reach your goals, overcome obstacles, and plan a successful exit strategy, all without the real-life risks of trial-and-error. This hyper-competitive and totally interactive team-led experience is guaranteed to bring out your entrepreneurial passion while you navigate the ups and downs of owning a business. Play to win because there are bragging rights and a prize on the line! With the help of the Strategy Leaders team, we'll bring you something completely new to our retreat: The ­Executive Game, a hands-on, completely interactive gaming experience designed to help you get smarter about running your business. After lunch, the rest of the day is yours. We'll be hosting the Greater California Livery Association's San Diego meeting that afternoon, where you can support your Golden State peers and affiliates and keep up-to-date on the issues affecting some of the industry's biggest markets. You can also enjoy private city tours courtesy of Old Town Trolley Tours. 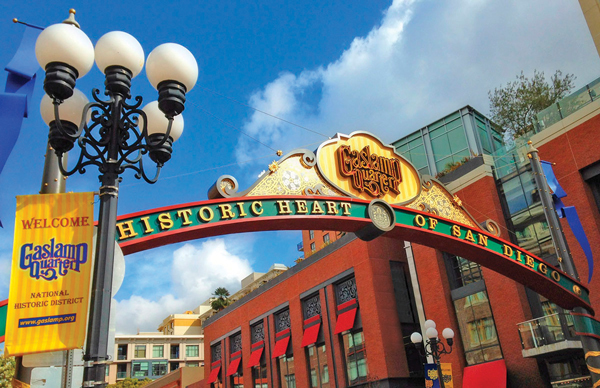 Check out some of the area's most notable sites like Embarcadero, Seaport Village, the Gaslamp Quarter, and Little Italy, plus you'll have the opportunity to get out and explore both Old Town San Diego and Coronado. If you stay for an extra day, you can take advantage of discounted rates on local favorites Sea World or the San Diego Zoo. We'll meet for shuttles at 10 a.m. sharp, then it's off to either one of the area's most iconic attractions to close out your stay in America's Finest City. You don't want to miss out on this intimate networking event that gives you one-on-one time with some of the industry's most successful operators, as well as a unique opportunity to bring home some immediately applicable education that will better your company. Attendance is capped at 200—and spots are filling up fast. Head on over to sandigoretreat.comto claim yours at the event everyone is raving about. In less than two months, we'll be taking a who's who of the industry's leaders to beautiful San Diego for three days chock-full of close-knit networking, eagle's-eye analyses of your company, and some thoroughly Californian good times—and we want to make sure you're a part of another can't-miss Chauffeur Driven Executive Retreat. 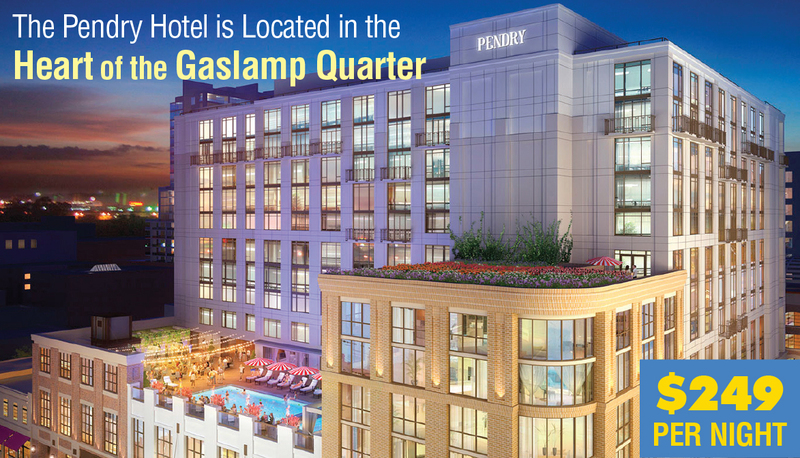 From May 6-8, join us and 200 of your industry peers at the Pendry Hotel—one of the newest boutique offerings from the ultra-posh Montage Hotel & Resorts chain that's internationally renowned for its five-star properties—which is located right in the heart of San Diego's Historic Gaslamp Quarter. This isn't just where all the local action is: We'll make sure it's the place to be for the luxury transportation industry, too! Many thanks to the CD Education Committee for their dedication to combining the timeliest topics with a fresh approach—and ensuring that the sessions we offer their industry peers are more than worth the price of admission alone. Co-chairs Kristen Carroll of The LMC Group and Jason Sharenow of Broadway Elite Worldwide and committee members Matt Assolin of Nikko's Worldwide Chauffeured Services, Alan Candeub of Park Avenue Limousine, Sami Elotmani of Destination MCO, Kim J. Garner of BEST Transportation, and Tony Simon of Reston Limousine have all provided extensive feedback and invaluable insight into each and every one of the four world-class educational sessions that are the cornerstone of our retreats. 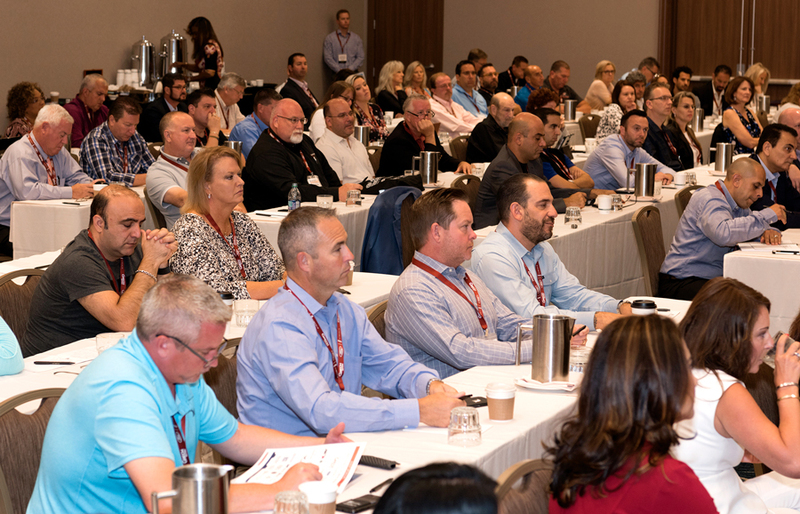 "The speakers are well-chosen and it seems no matter how much you think you know about this industry, you can still learn more," said Barbara White of VIP Transportation Group in Orlando, Fla. "We always take away some valuable information!" Against the backdrop of our stunning host property, the second day of our classroom offerings will kick off with the 10 a.m. seminar "Seizing Opportunities With Millennials, Hospitality & Tourism." 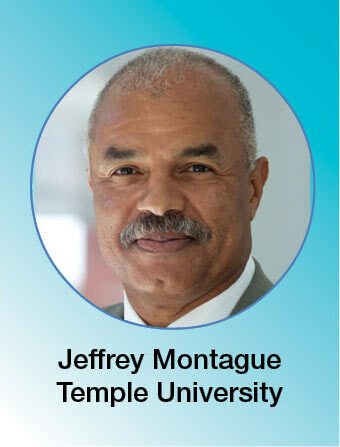 Speaker Jeffrey Montague, Associate Vice Dean Emeritus of Temple University's School of Sport, Tourism, and Hospitality Management, will bring his nearly 30 years of experience to this session that aims to bridge the gap between generations and industries. Oft-maligned as they are, Millennials are poised to dominate the workforce as their younger members continue to find work and their predecessors begin to retire. And as the youngest working generation keeps changing cultural expectations with their lifestyles and professional philosophies, it will become increasingly important to adapt to them both as employees and consumers. We've been wanting to bring an academic perspective to our retreats, and this will be your chance to get a high-minded breakdown of what it will take to bring your company, staff, and marketing fully into the 21st century. We'll be closing out the classroom ­portion of our retreat with something a little ­different … The Executive Game ... Flex your leadership muscles to prove you have what it takes to come out on top in a game where the objective is to retire with the most money in hand. This session will help you understand the impact that Millennials' increased professional presence will have across the globe, how to harness their social media savviness, branding your company to the hospitality industry accordingly, and their thought process itself. You'll leave armed with a strategic outreach plan and a better understanding of the overall changes that Millennials are influencing—as well as an action plan for finding young, new talent for your company through working with local colleges and universities by mining their departments that cater to vertical industries in the hospitality sector. "Loved, loved, loved the sessions," raved Tracy Salinger of Unique Limousine in Harrisburg, Pa. "There was content that extended to both work and home life. This was my second retreat and my only regret is that I didn't start attending sooner. I love the smaller groups of exceptional people, who are all focused on making our companies and relationships with one another better, in a more relaxed atmosphere. I already have San Diego on my calendar. Can't wait!" We'll be closing out the classroom portion of our retreat with something a little different. With some help from Strategy Leaders' Andi Gray, Robyn Goldenberg Cohen, and Eddie Monroy, we'll be bringing you The Executive Game. This hyper-competitive and totally interactive team-led experience is guaranteed to bring out your entrepreneurial passion while you navigate the ups and downs of owning a business. From 11:45 a.m. to 1:45 p.m., operators will have a chance to flex their leadership muscles to prove they have what it takes to come out on top in a game where the objective is to retire with the most money in hand. Each 8-10 person team will have a laptop, a leader, and a volunteer "bean counter" from either the CD staff or Education Committee to steer their virtual company toward success. 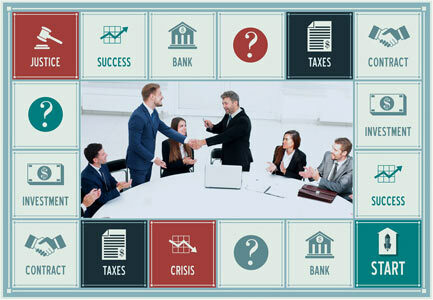 Experiment with what works and what backfires while deciding how to increase profits, invest your time as an owner, reach your goals, overcome obstacles, and plan a successful exit strategy—all dictated by the cards you draw and the real-time challenges you face. If you want to get smarter about running your business without navigating real-life consequences, you'll definitely want to try your hand at this completely immersive, interactive team-building take on education. How do you stack up against your industry peers? You'll have to play to find out—and there's a first-pace prize on the line! After we break for lunch, catch up with the Greater California Livery Association (GCLA) from 3:30 to 6:30 p.m., when the association holds the San Diego leg of its statewide meeting agenda in conjunction with our retreat. 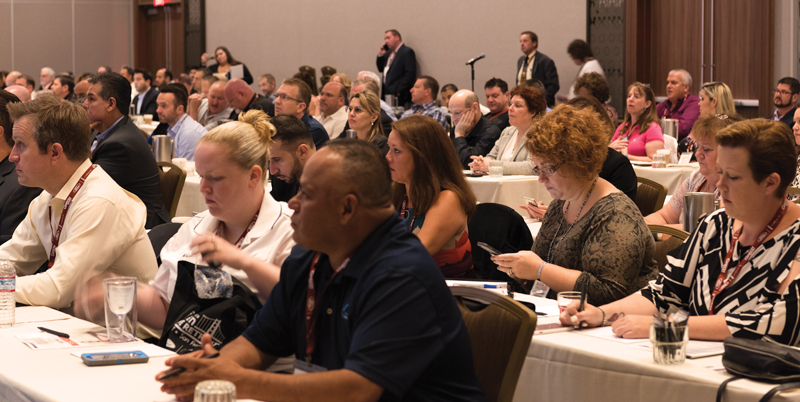 Nearly two years ago, the GCLA changed up its meeting format to better appeal to a geographically far-ranging membership base, opting to take its meetings on the road to visit with the state's key regions rather than compromise on one meeting location that only works for a handful of operators. The formula continues to work, and retreat-goers from all over the country are welcome to attend this meeting that promises to highlight all the good that your California peers and affiliates are working toward as well as the battles they're facing. If you haven't yet had a chance to visit San Diego and immerse yourself in all the history, culture, food, sights, and unique offerings that make it America's Finest City, Tuesday is your chance to take it all in. Old Town Trolley Tours will be picking attendees up right at the hotel for a private three-hour tour of the historical and iconic highlights. We'll start in the city's oldest settled area, Old Town San Diego, where you're invited to explore its specialty shops, a county park, and a ton of historical sites. From there, we'll be riding through the bayside Embarcadero and Seaport Village and getting a whole new look at the Gaslamp Quarter before making another extended stop at Coronado, the well-known resort city boasting one of the country's best beaches. Little Italy will be the hilly, scenic grand finale of our tour with its authentic Old World flare and unique vibe. We couldn’t offer our attendees the world-class events that we do if it weren’t for the generous support of our sponsors. The countdown to the 2018 Chauffeur Driven Executive Retreat is officially down to the double-digits, and we’re excited to be putting the finishing touches on the industry’s biggest event of the spring. Previous attendees know that our retreats offer an opportunity to network in an intimate environment to facilitate connections and conversations you can’t always find at a trade show. Plus, you’ll have plenty of chances to dig into the best-kept secrets and local favorites in our host city while getting some world-class education that’s more than worth the price of admission alone. Our May 6-8 stay in San Diego will be no exception. You can check out our November and December 2017 issues for the full details on our hotel at the heart of the historic Gaslamp District, the Pendry (a new boutique brand from the ultra-luxe Montage Hotels & Resorts), as well as all the exclusive, packed-with-local-flavor events we’ll be hosting that will get you everywhere from up-close to up above America’s Finest City. But while our evening activities will offer your some incredible networking throughout San Diego, it’s the four educational and interactive sessions that will give you tons of takeaways that can be immediately applied to your business to make it the best it can be. And we’ll hit the ground running on Monday, May 7. Our morning session will tackle the ever-important question of “Are You Making Money?” while our afternoon session will explore the more sensitive but increasingly important and immediate concern of sexual harassment in the workplace. Each of these seminars will have you taking an eagle-eye look at your company, its policies, and its priorities. With financials being an evergreen, always-crucial topic to explore, we’ll be kicking off our educational schedule with an in-depth examination of your bottom line. In an industry with notoriously thin profit margins that’s learning how to live in a post-TNC world, it’s increasingly important to keep your finances in check. We’ll help you do just that by focusing on the full range of areas to keep tabs on. Take a look at a sample P&L sheet to get a handle on how to break it down, examine your variable and fixed costs, learn how important it is to know your gross profit margin to the percentage point, identify the most crucial KPIs you should be tracking monthly, examine market forces, find out the real cost of carrying A/R debt and more with this session that aims to give you all the tools you need to analyze your company’s money-making realities—and potential. In this session moderated by Broadway Elite Worldwide’s Jason Sharenow, industry veteran President/CEO of Commonwealth Worldwide Dawson Rutter and The LMC Group’s Director of Finance Jessica Boulerice will use their respective knowledge and expertise to help you take a closer, critical look at the financial health of your company and identify how to bolster your profit. 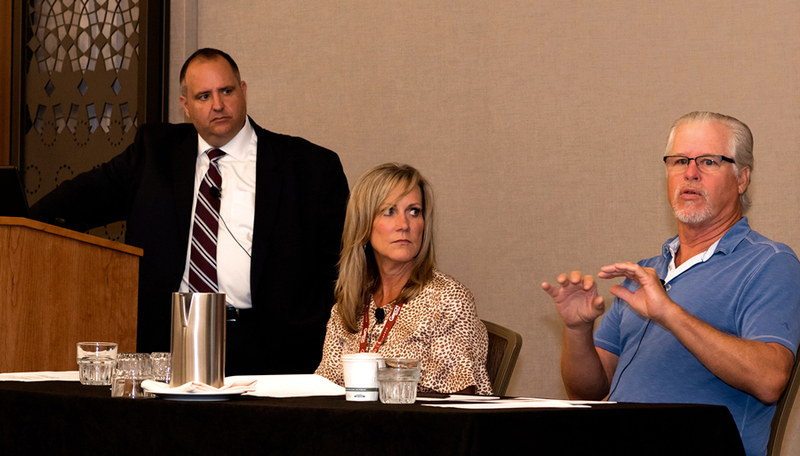 “The financial presentation was one of the best sessions I have attended at any industry event in more than 10 years,” James Limousine Service’s Randy Allen says of our previous finance-specific retreat education. On Monday afternoon, we’ll delve into the timely topic of sexual harassment. As the #MeToo movement and current events have thrust a ­once-taboo subject into the limelight, this HR/legal session will give you a firm understanding of why it’s an important topic to tackle. With trade shows, home-office staff, driving teams, association meetings, and multiple offices being among just a few of the developments blurring the lines between what does and doesn’t constitute the workplace, as well as long-quiet victims of sexual harassment and abuse feeling empowered enough to break their silences, these are rough seas to navigate your business through. That’s why we’ll have a legal expert and an HR expert—Ann Plunkett of Workplace Partners and Brooke Keil of Emerson Hospital, respectively—to help you chart a course through those murky waters with their backgrounds and experience. This session will also help you and your staff protect yourselves from making any accidentally offensive remarks or moves, brush up on behavior befitting professional environments, identify the difference between harassment and abuse, and work toward the goal of preparing yourselves for day-to-day interactions that respect the social boundaries both in the work space and outside the office. Even those who feel they’ve been spared major problems so far would benefit from this primer on how to deal with claims of abuse and harassment, how to keep avoiding them, and respectful procedures for dealing with victims. After tackling such heady (and no doubt personal if not emotional) topics, the day will take a much lighter turn with our evening plans. Follow up taking an aerial view of your company by getting a 15-stories-up perspective of San Diego at The Skybox at DiamondView Tower. 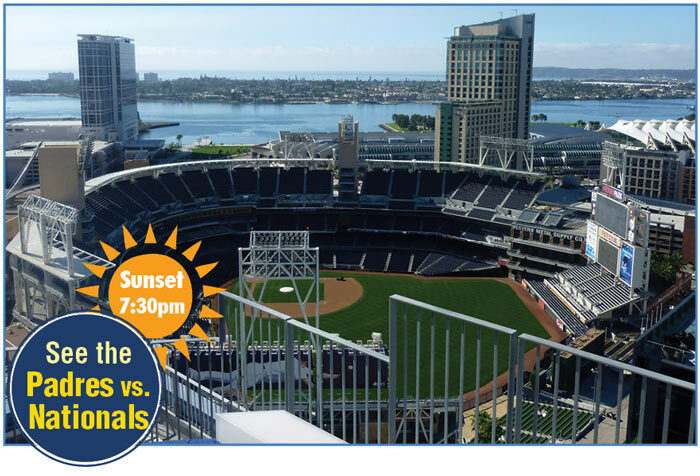 You can read more about this one-of-a-kind look at the East Village that offers a unique vantage point of the evening’s Padres vs. Nationals game in the November 2017 issue of CD, or by visiting sandiegoretreat.com. The Skybox at DiamondView As dropping temperatures bear down on most of us in the northern hemisphere, you can stay warm by letting your mind wander ahead to thoughts of spring—like when the 2018 Chauffeur Driven Retreat heads to San Diego from May 6-8. One of the hallmarks of our retreats is the opportunity for truly intimate networking, as it’s limited to 200 operators. This ensures that you get quality face time with your industry peers, many of whom are among the most well-known names in the game. We know education isn’t limited to what you learn in our world-class sessions, and we’ll be giving you plenty of chances to pick the brains of your fellow retreat-goers—and share some insights of your own, too—during all of the off-site offerings our retreat has in store for you. Plus, you’ll get to immerse yourself in quintessentially San Diego locales to help you learn about some of the best that California’s second-largest city has to offer, with a schedule designed to give you plenty of opportunities to customize your experience in America’s Finest City. We’re starting off our return to California with a bang! 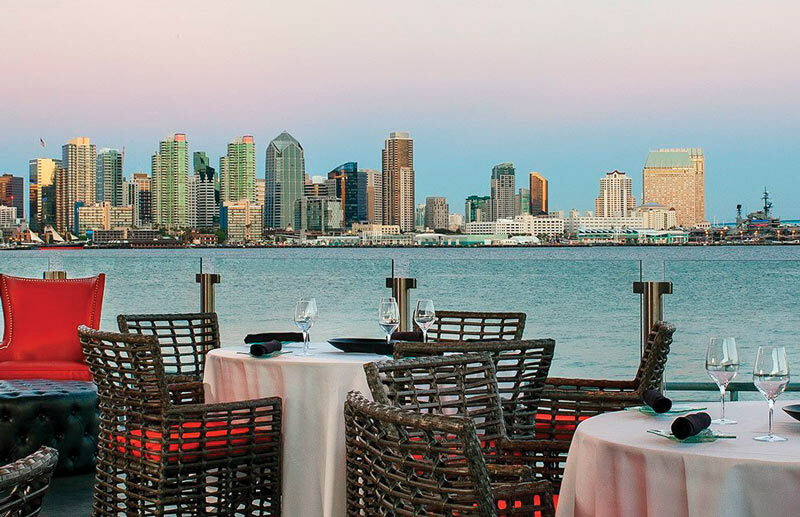 Our first night in town will whisk you away to Coasterra, which is lauded as San Diego’s premiere bayfront dining destination and features a restaurant, lounge, and floating event center. The uniquely designed establishment is situated on Harbor Island, a manmade peninsula that juts into the East Basin of San Diego Bay, where you will be able to take in your stunning surroundings practically right on the water. Coasterra on Harbor Island Our evening of overlooking the skyline, enjoying an open bar, and savoring Coasterra’s modern Mexican fare will be accompanied by a live band to help set the festive mood. 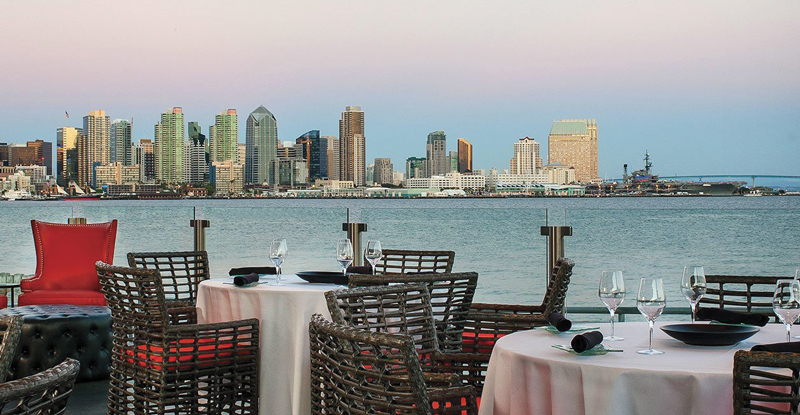 The restaurant is known for serving up seasonal, locavore-approved dishes, so you’ll be literally getting a taste of San Diego while you take in the nearly 360-degree waterfront view. The fresh seafood and new takes on traditional ethnic dishes will only make this experience as delicious as it is visually tantalizing—if you’re not the type to Instagram your dining experiences, this could very well be what changes that. 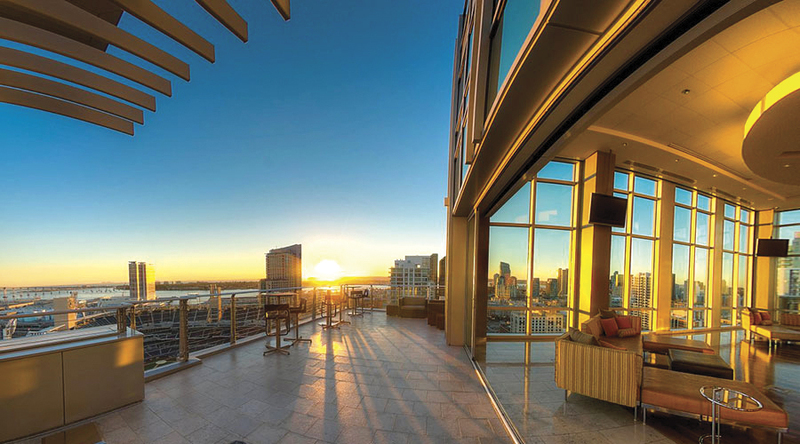 After we finish helping you get an eagle-eye perspective of your business with the day’s educational sessions, it’s off to The Skybox for more incredible views of the city and an evening in San Diego’s premier event location at the top of DiamondView Tower. The Skybox overlooking Petco Park, home of the Padres This intimate downtown East Village venue is just a stone’s throw from The Pendry and will take you high above the city—you’ll enjoy such a soaring vantage point, in fact, that we’ll be able to watch that night’s game at nearby Petco Park. The tower that The Skybox calls home is actually the first office building in the country to be constructed in partnership with a major league ballpark and is one of only two high-rises in the city, which means that we’ll be overlooking the hometown Padres as they take on the Washington Nationals with the best seats in—or above—the house. 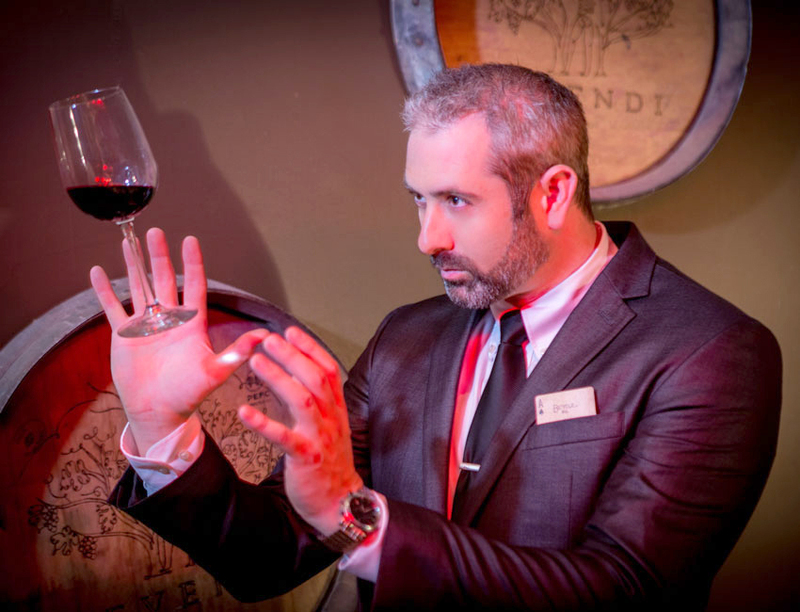 And if America’s Pastime isn’t your thing, you’ll have tons of other options for the evening’s entertainment, like enjoying feats of mind-bending magic and mentalism that will leave you equally delighted and surprised. The open-concept space is perfect for our kinds of events, and the practically panoramic view of the nighttime cityscape will be sure to demand your attention for a while, so be sure to take in the sights of our waterfront host city transitioning from its daytime beauty to its nighttime illumination. Step onto the balcony for drinks and conversation with new and old friends alike in the evening air as the sun sets over the bay. Of course, we wouldn’t leave you hanging when it comes to dinnertime fare, and the open bar, appetizers, and food stations will keep you well-fed after a day chock-full of learning and networking. This is your night to personalize your San Diego experience! With so much to do at The Pendry alone, you might not even make it beyond the hotel’s six upscale bars and restaurants. But for those who want to let their wanderlust guide them, you will find no shortage of options to help make the last night of our retreat an experience that’s wholly self-guided. Our primo location has us right in the beating heart of the historic Gaslamp Quarter, so you won’t have to travel far to find exactly what you’re craving. Sample any corner of the globe with all the Italian, Japanese, Mexican, Irish, and Brazilian (just to name a few) restaurants that are all right within walking distance, or check out the happening nightlife at the local lounges, nightclubs, and bars. If you want something a little more low-key, don’t forget that San Diego boasts a rich history that’ll delight anyone looking to immerse themselves in the local landmarks and lore. The city has more than 1,000 structures and properties that are designated as historic landmarks, with many of them also federally recognized with an inclusion on the National Register of Historic Places or by being deemed National Historic Landmarks. San Diego is steeped in culture, so catching a show, some music, or a museum tour is a breeze, too. While our retreat technically ends May 8, we’re offering discounted tours and shuttles to both SeaWorld and the world-famous San Diego Zoo on May 9 for those who want to extend their stay with us. You’re also free to make a beeline for any last-minute must-see sites and must-do experiences you still need to check off your San Diego to-do list. Whether it’s sampling the area’s many breweries, dipping your toes in the Pacific Ocean, taking one last whirlwind tour of the Gaslamp Quarter, or even making a day trip south of the border since Mexico sits less than an hour away from our host hotel (just be sure to pack your passport! ), this is your day to do nothing but your own thing. So what are you waiting for? With our limited attendance, spaces at the event of the season are on a first-come, first-served basis until all 200 operator spots are filled. Rooms are $249/night for the retreat itself, with extended stays dependent upon availability. You can snag full passes at a discounted early-bird rate of $799 until March 16, 2018; after that, they can be purchased for $899 until we reach attendance capacity. Visit ­sandiegoretreat.com for more information and be sure to keep checking back for updates. When we asked the industry where our Executive Retreats should take place over the next few years, California emerged as the clear victor, with San Francisco and San Diego leading the pack. And after the great time everyone had in The City by the Bay this past June, we knew we had to get back to the West Coast as soon as possible. That’s why we’ll be bringing more than 200 industry professionals to San Diego from May 6-8 for our second California-based Executive Retreat. The SoCal city will be our host for three days of unmatched education and total immersion in the unique flavor of the aptly nicknamed America’s Finest City. But this isn’t a repeat of our NorCal offering; San Diego has a chill coastal California vibe all its own. Our stay starts at the luxurious, brand-new Pendry Hotel, conveniently located in downtown San Diego in the heart of it all. Previous attendees of our retreats can attest to the exclusivity we infuse into each of our city outings, and this year’s retreat comes with an additional element of privileged experience, as there are only two Pendry properties in the world. The newly launched brand is owned by Montage International, famous for its ultra-posh, five-diamond properties that are synonymous with a luxury experience. Plus, the Pendry is smack-dab in the middle of Gaslamp Quarter, so you won’t have to go far at all to sample everything the city has to offer from our primo, heart-of-the-city locale. Education and networking comprise the cornerstone of our retreats, and San Diego will uphold that tradition. You’ll get to spend quality time with the peers you might only see for a few minutes during a larger event, plus enjoy laser-focused education that is finely tuned to speak to owners’ concerns. Among the many offerings you’ll find at the Pendry is its rooftop lounge, The Pool House, where you’ll definitely want to grab a cocktail. The property also boasts a variety of dining and drinking options, and its six unique eateries and watering holes will appeal to any palate or craving. Try modern coastal cuisine at Lionfish, seasonal SoCal fare (and coffee!) at Provisional, upscale bar staples and updated classic cocktails at the hotel’s bar Fifth & Rose, a flight of local craft brews at Nason’s Beer Hall, and the like-no-other nightlife and drinks you’ll only find at Oxford Social Club. Our hotel is right where the action is, and its bars and restaurants are unsurprisingly some of the most happening places in the Gaslamp Quarter—but where you can still enjoy the cozy, close-knit vibe of our retreat to get the most from our ample networking opportunities. Never been to a CD Executive Retreat before? Since 2015, we’ve been offering our yearly retreats, which are intimate, two-pronged events that bring you to a different in-demand location every time. Nashville, New ­Orleans, and San Francisco have been our host cities so far, and each retreat is ­tailored to maximize your time on the town so you can breeze past the typical tourist fare and live like a local for a few days. While San Diego will bring its own charm and character to our fourth-annual retreat, the purpose of these leadership-empowering events is to not only immerse yourself in another city in whole new ways but also get an eagle’s-eye view of your company with some world-class educational sessions—plus an all-inclusive experience where your food, drink, and entertainment are provided—that are always worth the price of admission alone. In previous years, we’ve explored timely topics such as employee retention, stress tests, upping your customer service game, financial assessments, and adapting to rapidly changing times. Thanks to the wisdom and insights of experts both within our industry and in their respective niche fields, we make sure that education remains at the heart of our Executive Retreats. So if you’re ready for owner-specific education and the chance to get some one-on-one time with a veritable Who’s Who of the industry’s elite, we think our retreats are exactly what you’re looking for. We’d love for you to join us in San Diego! Situated immediately adjacent to the Mexican border, San Diego enjoys balmy, inviting temperatures year-round that consistently hover between the 60s and 70s (we can expect the same in early May). 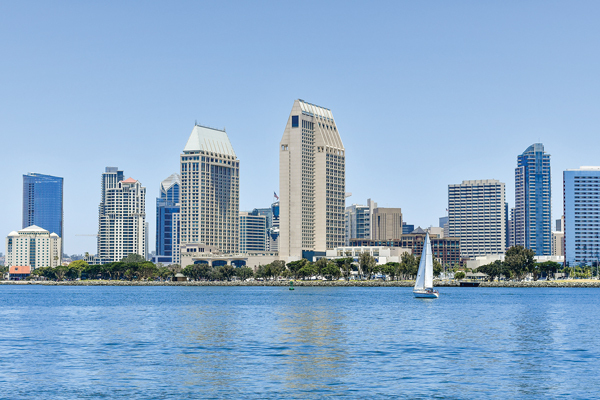 The Farmers’ Almanac rates San Diego as one of the country’s top-10 best climates, which is no surprise considering that the city enjoys temperatures above 70 degrees for more than 200 days each year on average. Beyond a climate befitting paradise, San Diego’s natural beauty includes ocean vistas, desert landscapes, and mountainous panoramas, as well as all the modern conveniences one would expect from California’s second-largest city—sans the fast-paced chaos of a nonstop metropolis. You’ll enjoy all the benefits of being in a big city as well as an intimacy that mirrors the tight-knit atmosphere of our retreat, which will be perfect for our networking events that promise to delight you with a similarly up-close-and-personal look at San Diego that your average sightseeing tourist group won’t ever get a chance to experience. Of course, we want you feeling like you got a whirlwind tour of San Diego without actually rushing through our time there, so you’ll have plenty of opportunities to take in the city’s legendary architecture, historical sights, dining scene, and uniquely local flavor. This is a city known for being laid-back and quirky, so expect our city-bound expeditions to be similarly casual and free-spirited. And don’t worry: We wouldn’t take you so tantalizingly close to San Diego’s world-famous landmarks like its zoo and Sea World without giving you an opportunity to explore such can’t-miss mainstays. If you stick around on Wednesday, we’ll cap off a few days of discovering San Diego’s best-kept secrets by coordinating day trips that’ll bring you right to its most famous attractions. If you want to be a part of our 2018 Executive Retreat, keep in mind that attendance is capped at 200 operators—and space fills up fast! Rooms are $249/night for the duration of the retreat, with extended stays dependent upon space availability. We’ll be offering full passes at an early-bird rate of $799 until March 16, 2018; after that, they can be purchased for $899 until we reach attendance capacity. Copyright © 2017-2018 Chauffeur Driven. All rights reserved.